I subscribe to Expedia.com, Expedia.com.au and Expedia.co.nz (3 times in total). As a result, when they have a sale, I get three emails from them. On 23 February, three emails all came through at around 907am Australian time/1107am New Zealand time. They were all promoting a cheap holiday deal in New Zealand. The snafu was that this email came 17 hours after a massive earthquake ripped through Christchurch, New Zealand. This major tourist centre seems to have lost most of its hotels and the biggest hotel in the City, the 26 storey Grand Chancellor may collapse. Some people reported that the email had a picture of the Cathedral (which was destroyed) on the ad but mine didn’t, which seems strange. 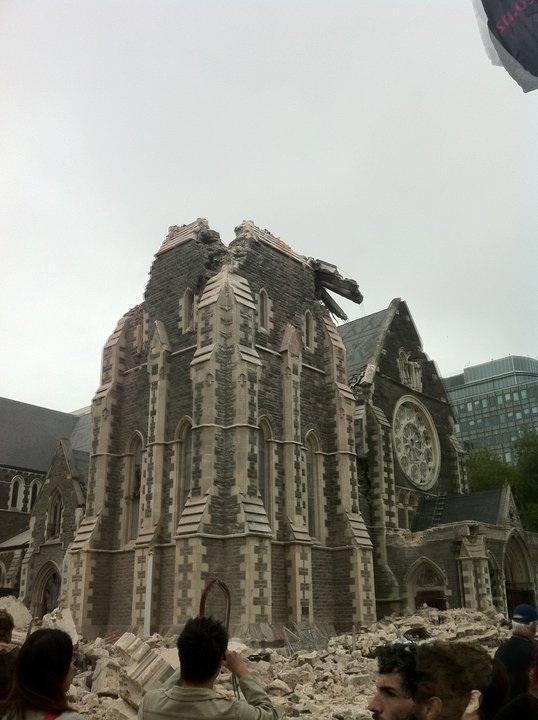 They said: We’re very saddened about the quake situation for the people of Christchurch. Our newsletters are deployed from London and the mail-out commenced before the quake hit. We would never issue anything like this intentionally. We are working with Expedia customers in the area and those who are planning to travel imminently to this part of New Zealand to help make alternate arrangements. In the meantime, we have postponed the sale. We apologise for any offence this morning’s newsletter may have caused. Expedia then pulled the sale so while I could get rooms this morning, the booking page two hours later was pulled and replaced by a message saying the sale was postponed. These were both acceptable responses from Expedia. I do not buy, however, that an e-newsletter takes over 17 hours to be sent out. It is normal practice to write an electronic newsletter and have it waiting to go. In theory, my company has our monthly e-News written by the 10th to be sent on the 15th. This means that the Expedia newsletter was probably written before the earthquake and loaded onto an email delivery sitting system ready to be sent to customers to read the morning of the earthquake. No one monitors upcoming sales at Expedia – Expedia clearly needs to improve its systems then. The people in London did not know where Christchurch was when they sent out a NZ sale advertisement- for a travel company lack of geography is not a good thing! Which one seems most likely? I like and use Expedia so for me, this is an unfortunate incident. What was poorer was that there was no follow up email apologising for the first blunder and advising the pulling of the sale. This might have earnt them some brownie points from the angry Kiwis who have been talking about this. I also think their response on Facebook was poor regarding this. One thing is certain: 80% of people in Christchurch would not have noticed as they are without power for a second night. My thoughts go out to you guys. Expedia sent out an apology 17 hours later. We sincerely regret our error in the email communication you may have received in the past 24 hours in relation to a 72-hour New Zealand sale. As soon as we became aware of the imagery used in this promotion, which had been prepared well in advance of the earthquake, we took immediate action and removed it. It goes without saying that we are extremely saddened about the devastation the earthquake has caused to Christchurch and Expedia apologises for any insensitivity that the images may have caused towards the people of Christchurch, which was of course unintentional.Thanks Expedia. Now must do something about the fact I get three mailings every time.